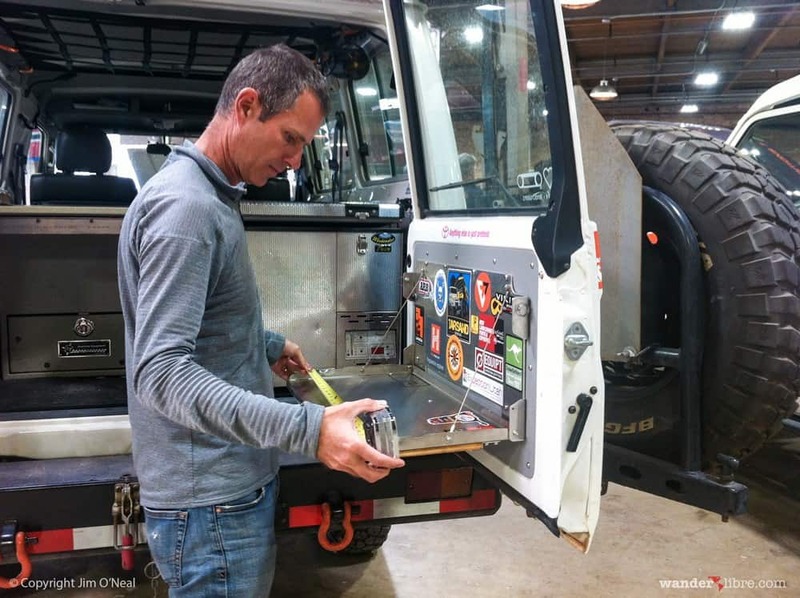 As I write this post, it’s almost a year since we completed our camper conversion of Maggie, the Land Cruiser 78 Series Troop Carrier we’re currently using to explore the world overland. For us, Maggie’s the ultimate go-anywhere overland vehicle. An expedition tiny home, which serves as our transportation, home on the road, and mobile base camp for photographing wildlife and exploring the world’s wild places. What follows is the first installment in a four-part series, which chronicles our odyssey to transform a base Troopy into the dream home we live and travel in today. I still recall shopping for our first home. It was an exciting process. Like many first-time buyers, we were short on cash and long on must have’s. This did little to dampen our enthusiasm, although in retrospect, I suspect it went a long way to making our realtor rethink her career. After a long search, we found a home that ticked all the right boxes. It was in Old Town, a charming neighborhood of cobbled streets, cozy cafes, and historic townhomes once occupied by notables like George Washington and Robert E. Lee. Built in the 1870s, the little house (tiny home) was dripping with character (leaking roof). It had beautifully aged hardwood floors (in need of replacement), an antique fireplace (not working), and a galley-style kitchen (only a sailor could cook in it). Through our rose-colored glasses at least, it was perfect. We were in love, and quickly invited my parents up and began shopping for furniture. We’ll never forget that experience. It was one of those milestones in life, not easily replicated. If only we’d bought that little house the memory would be perfect. Sadly, our last walk-through proved one too many. While measuring for furniture, a raccoon sprang from a closet, brushed past Sheri’s feet, and dove into the master bath. We weren’t keen on roommates. Still, we loved the house and if it came with pets, then so be it. Unfortunately, there were other skeletons in that closet. Just before making an offer, our realtor learned some disturbing news. The home played crime scene in one of those murder mystery dinner parties. Only there was no dinner party. Just a murder, which cast our perspective home in a new, less flattering light. It was the straw that broke that proverbial camel’s back. No matter. Eventually, we found our perfect first home. It was a wonderfully cozy little house in the same neighborhood. Yet, a couple of years after moving in, we found ourselves doing what many first-time home owners do. We began dreaming about all the little things we might improve—stuff like not being able to fit adult-sized furniture in our doll-sized den. Fast forward to 2005. Again, we were shopping for a new home. This time, we needed a new type of house. The perfect go-anywhere vehicle turned expedition tiny home that would carry us on a multi-year trans-Africa journey. Traveling to England to buy and outfit Betty, the 80 Series Toyota Land Cruiser we drove across Africa was much the same as our first home. It was equally new and exciting and, like our first home, it wasn’t long after we moved in that we found ourselves sitting around the campfire dreaming up improvements. In retrospect, I think Betty was perfect in the same way our first home was perfect. It’s the type of perfect that accompanies novice enthusiasm and inexperience. And like our first home, the more experience we gained in Africa, the more we evolved our definition of perfect. It’s an evolution that continues today. Maggie, the vehicle we’re currently driving around the world, is the latest chapter in this evolution. She’s the manifestation of a dream that began shortly after departing England for Africa back in 2006. 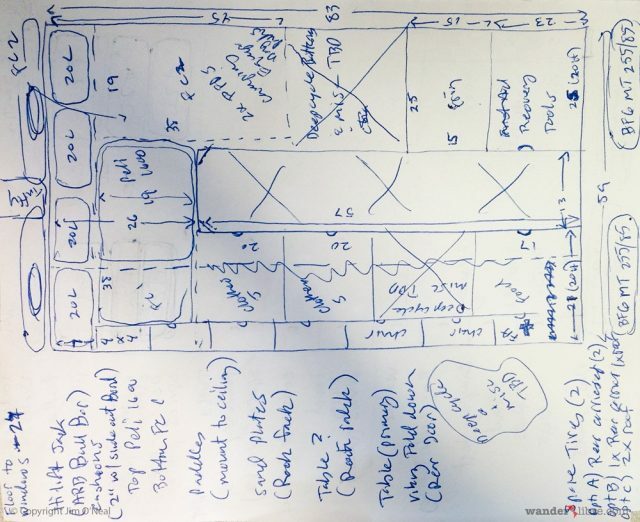 It’s a dream which began as scribbles in a notebook drawn from experience and slowly transformed into the detailed blueprint that constitutes our current vision of the perfect expedition tiny home. Someone once told us the perfect vehicle is the one that gets you going. In our view, you can explore the world in just about anything. We’ve met travelers globetrotting in everything from a black 1957 Mercedes sedan to an old farm tractor pulling a whimsically decorated carnival wagon full of toys. Really, it just comes down to what stokes your passion, aligns with your travel style/objectives, and most importantly, gets you going. While we’re quite fond of Maggie, at the end of the day, she’s a tool built to suit our travel style and achieve a specific purpose. Simply put, her purpose is to take us on a global safari to experience and photograph as many of the world’s wild places as possible. And when we finish our safari, it’s our goal to send her home to Africa, where she’ll be available to take us into the bush for years to come. Armed with a clear understanding of Maggie’s purpose, we set out to source and outfit our ideal vehicle. We needed something simple, strong, and reliable. We needed a vehicle capable of going anywhere while serving as a comfortable home and mobile photography platform. No fancy computerized engine management systems, traction control, or other modern electronics that are difficult to repair and could leave us stranded in the bush. If something breaks, it needs to be field repairable. Simply put, turn the key and the engine starts. Every time. We’d rather be off exploring than making vehicle repairs. Plus, there are times when our safety depends on our car going. In those situations, we don’t need the stress of mechanical issues. It happened to us once before in Ethiopia’s Omo Valley, and I’d rather it not happen again. 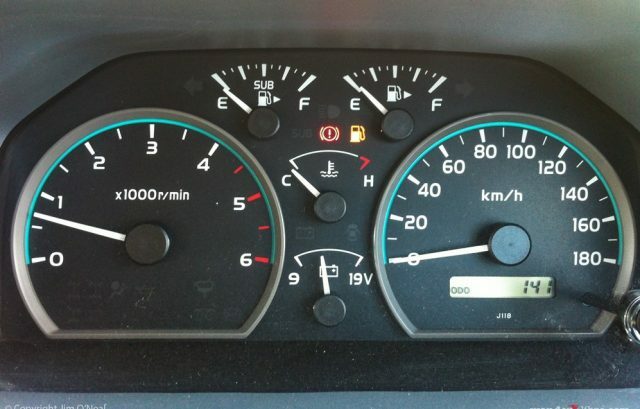 Exploring remote wilderness puts enormous strain on vehicles. In Africa, we put Betty, our 80 Series Toyota Land Cruiser, through tremendous abuse, and she took the punches. When we look back at video footage, we can’t believe she kept going. Betty did the heavy lifting in Africa. She forded deep rivers, pushed past trees downed by hungry elephants, plowed through high grass, battled deep mud, traversed high Saharan dunes, crossed ditches, and climbed rocky mountain passes. There were so many instances where something should have broken but didn’t. Betty exemplified strong. She’s our baseline. Her successor needs to be stronger. 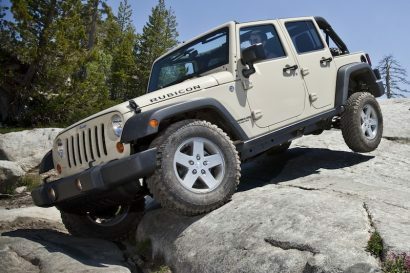 Freedom starts with the ability to go anywhere. 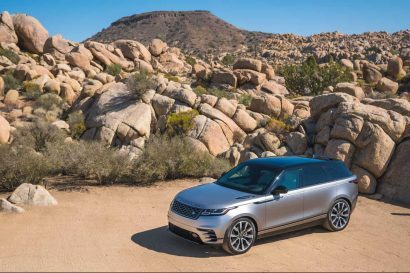 Our base vehicle needs high ground clearance and a robust 4WD system that includes selectable high and low range and front, center, and rear diff locks. During outfitting, we’ll add all the other equipment required to take us to the ends of the earth. A simple diesel engine that’s designed to operate on the +500ppm diesel still found in Central Africa and a few other places scattered about the globe. 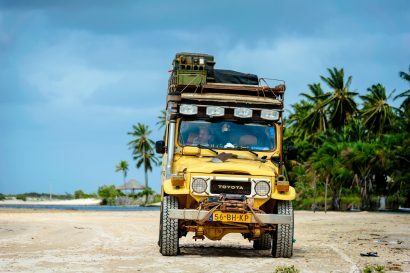 The vehicle needs to be suitable for conversion into a small home with space for indoor and outdoor living and ample room to store enough food, water, and other supplies for extended stays in the bush. 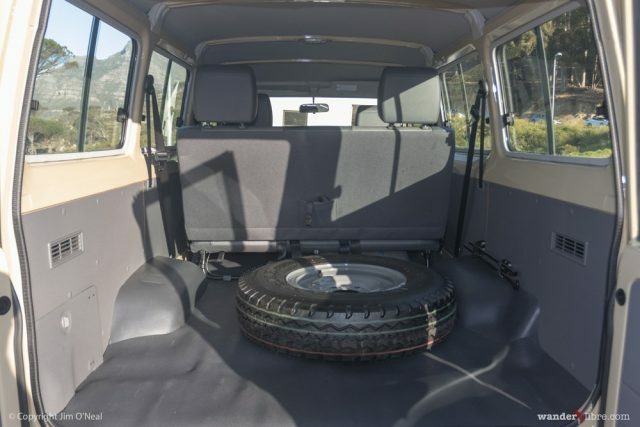 Our vehicle needs to be large enough for camper livability but small enough to 1) Fit inside a standard 20-inch shipping container 2) Drive and park relatively easily in big cities and 3) Fit down narrow African bush tracks, onto tiny raft ferries, and under low-hanging power lines. In short, it needs to straddle that fine line between too small (unlivable) and too big (limiting). Having an international network of dealers is important for sourcing spare parts and other maintenance related services required while traveling abroad. In today’s world, there aren’t many vehicles still in production that meet these requirements, making vehicle selection a little easier. 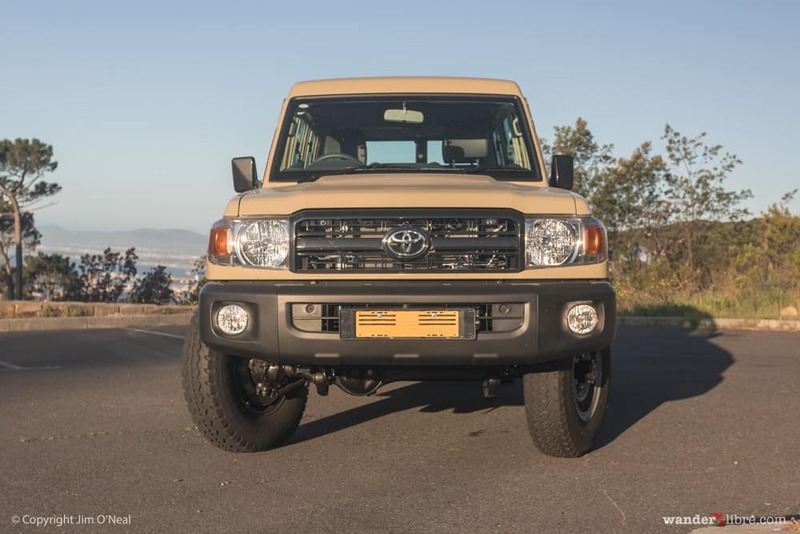 The vehicle we chose was a Toyota Land Cruiser 78 Series Troop Carrier (1HZ). It ticks all the boxes. We’ve traveled with Land Cruiser Troop Carriers before. Back in 2006, on one of Africa’s worst roads, we battled through a sea of Cameroonian mud with two German couples in 78 Series Land Cruisers. Thirteen days later, we made it through. On the other side, Betty was unbroken, but a little worse for wear with fender flares ripped off and her rear bumper held together with climbing rope. Meanwhile, despite tipping over and suffering terrible abuse, the German Troop Carriers were nearly unscathed. 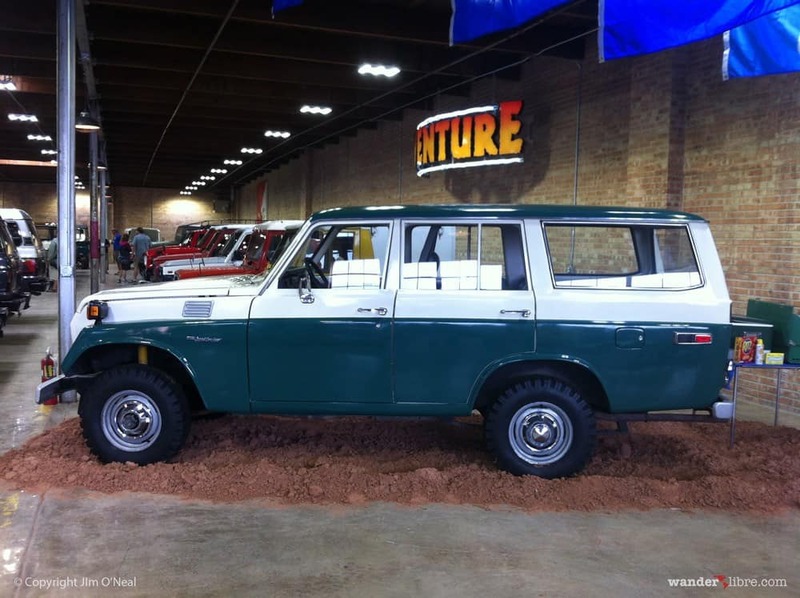 The 78 Series Land Cruisers go by many names. We’ve heard them called Troop Carriers, Troopies, (or Troopys), and African bush taxis. Troopys are designed for commercial use in extreme environments. Often the vehicle of choice for everything from militaries and mining companies to NGOs, we’ve seen Troopys serving as police cars, ambulances, safari vehicles, bush taxis, and research vehicles among other things. If you’re not familiar with Troopys, you’ve likely seen one but didn’t notice it. Troopys are often shown in news footage during catastrophes like West Africa’s Ebola outbreak. They’re the vehicles used by aid agencies like the Red Cross and Doctors Without Borders. And if you haven’t seen one, you might have caught a glimpse of its sibling: the pickup version (79 Series). The 79 Series Land Cruisers feature prominently in news coverage of wars across North Africa and the Middle East. They’re the pickups often packed full of rebel fighters with a heavy machine gun mounted in the back. 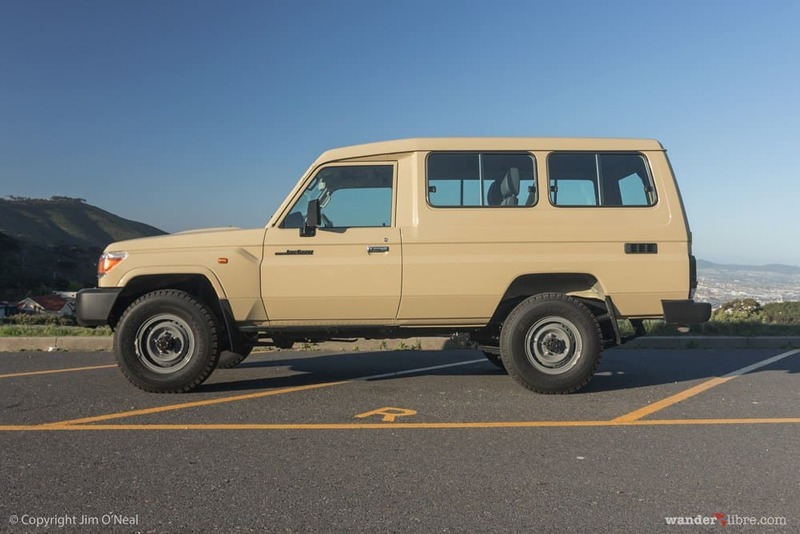 We purchased our Land Cruiser 78 Troop Carrier in the summer of 2015. While still exploring Alaska on motorcycles, our focus rapidly shifted to making plans for our global safari and outfitting our new Land Cruiser. Changing gears from riding Alaska to outfitting in Cape Town took some doing. To get the ball rolling, we parked our bikes for a week in Seward to bang out an initial set of build requirements. What we came up with would serve as the initial building blocks for a busy year to come. First, based on our experience anyway, I think it’s worth noting that one traveler’s must have is another’s wish we hadn’t brought it. I mention this, because in the measureless hours we’ve spent researching on the Internet, we’ve fallen into the trap of taking advice from travelers with very different travel styles than us. During our first build, this is how we came to have a seldom-used Kelly Kettle rattling around in our trunk and a portable toilet seat strapped to the roof. That said, I’ll try to provide a little background on the philosophy that influenced our build decisions. As a general rule, we take the path of least resistance. This is important as it influences our travel style and therefore what we’re looking for in an overland vehicle. In travel and in life, we tend to boil tasks down to bare essentials. To illustrate my point, we have a Hilleberg Keron 3 GT tent, which includes 22 ground pegs. Unless a storm is approaching, we set up the tent using only 4 (the bare minimum). This point expands on our comments above. We have friends that are natural born tinkerers. Whenever we’re traveling together, they’re always working on something—servicing a stove, repairing the vehicle, etc. We tend to be the opposite. We try to avoid such projects. This philosophy steers us towards low maintenance gear. For example, we have a multi-fuel stove but prefer cooking on an alcohol burner, which has no jets or mechanical parts to clean and service. 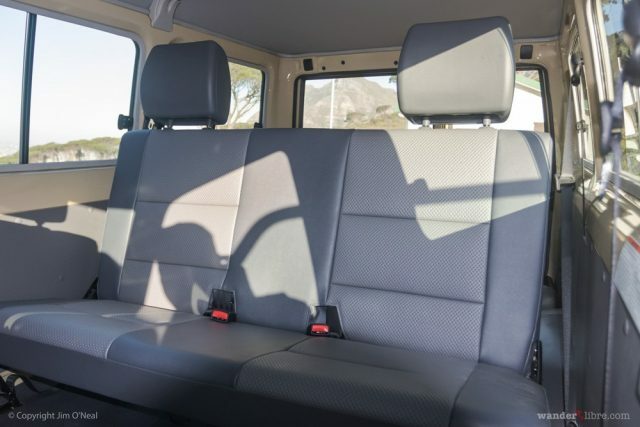 Traveling in a comfortable home is one reason we chose a Land Cruiser Troopy. That said, we prefer basic comforts that don’t add to our camp to-do list. A pop-top tent with built-in mattress and bedding is desirable to a ground tent with air mattress for the simple reason the pop-top requires virtually no time to set up and stow. Living in a small space demands organization. It’s what keeps us sane on long trips. Perhaps our biggest pet peeve is when we need something but can’t get to it without pulling out five other things first. A well-organized living space is key to a happy life on the road. All travel involves some sort of albatross. For backpackers, it’s the backpack, which needs to be looked after. For cyclists, it’s their bike and panniers. For those in cars, it’s the vehicle and all that’s inside. For us, it’s important to minimize this albatross as much as possible. I won’t go into our security philosophy here. What I will say is that we value our freedom, and worrying about our vehicle and kit detracts from our feeling of being free. To that end, we value a simple approach to vehicle security built around parking in secure places, keeping belongings out of sight, and integrating quick and easy-to-use layers of tamper resistant storage. Collectively, the points above represent what amounts to a basic philosophy that guides many aspects of our daily lives. We aim to maximize freedom and minimize hassles. In other words, we prefer running, exploring, photographing and kayaking to servicing, repairing, and setting up/putting away. This philosophy is reflected in our build. I offer this up as background in hopes it might help explain why we integrated items like a pop-top roof and marine alcohol stove and why we opted to forgo luxuries like a batwing awning, shower skirt, and 80L fridge. 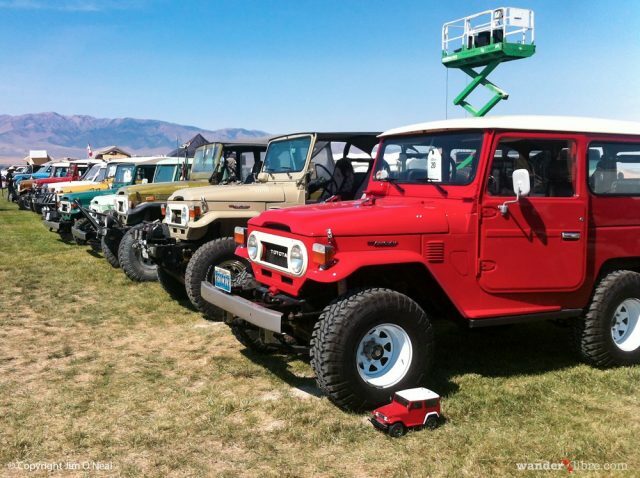 Several 40 Series Land Cruisers on display at Cruiser Fest, Salt Lake City, Utah, 2015. 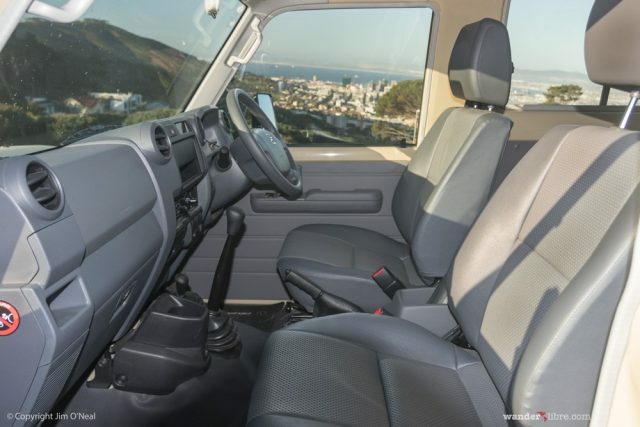 Transforming those requirements into a finished product would take work, and getting the work done meant flying to Cape Town, the location we selected for outfitting our Land Cruiser and our home during the formative stages of the build. Our road to Cape Town was long. From Seward, we rode with purpose to Deadhorse and the Arctic Ocean before turning south for the long ride back to California—the terminus to our motorcycle journey. In late August, we arrived in Truckee, where we received a warm welcome from friends Christian and Persephone. A couple equally passionate about travel and experienced in traveling overland, they were the perfect hosts. Over the next 6 weeks, their home served as our base camp to work on our build. Before departing for South Africa, we organized a team in Cape Town to execute the build. The natural choice to head up our team was Paul Marsh. We met Paul shortly after completing our Africa trip when he contacted us about purchasing Betty for a client. 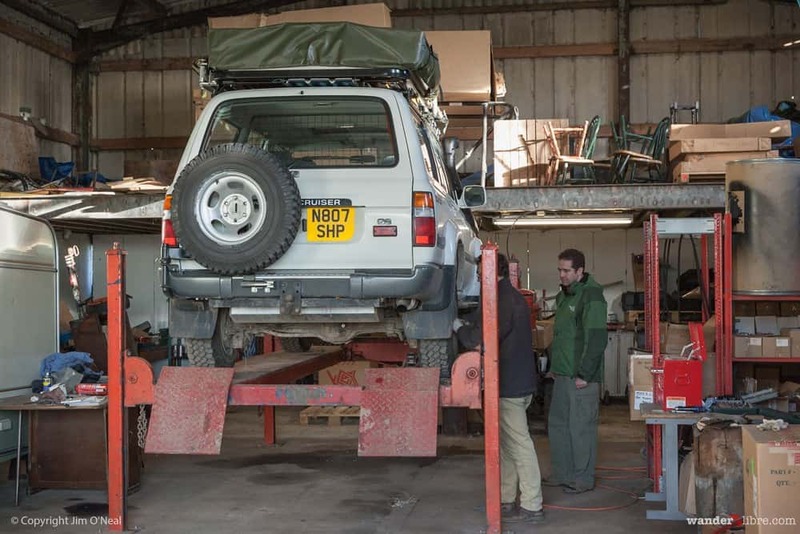 At the time, Paul ran Footloose 4×4 in England, a vehicle outfitter specializing in building overland vehicles for Africa and beyond. 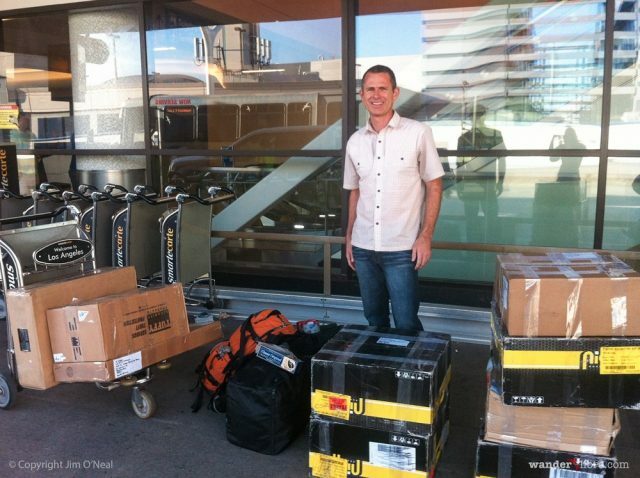 Now, Paul lives in South Africa, where he works as a consultant on outfitting vehicles for expeditions across the globe. We brought Paul onboard as our project manager. Paul’s role was to help select vendors, transform our build specs into construction blueprints, and collaborate on best practices. He would also serve as our central point of contact, a role that was particularly valuable, as it allowed us to be away during the middle portion of the build. Working with Paul would be R&D Offroad, Alu-Cab, and a handful of specialty vendors. R&D Offroad was our primary builder responsible for fitment and interior fabrication, Alu-Cab fabricated the custom pop-top roof, and various other vendors were sourced for specialty items like upholstery, exhaust, window tinting, and stereo installation. Through initial conversations with Paul, it was clear significant groundwork was necessary before our arrival in Cape Town. Much of the equipment we needed was either unavailable in South Africa or significantly more expensive than the U.S. Plus, the sooner we worked out details for our tent and other customizations, the sooner we could get slotted into Alu-Cab and R&D’s production schedules. In other words, we needed to work out all these details before departing the U.S.
Over the next 6 weeks, we worked round the clock to refine equipment lists and source as many items as KLM allowed us to carry on the plane. Our equipment list became an exercise in detailed calculations as we crunched numbers trying to figure out how to squeeze every last ounce out of KLM’s baggage allowance. It’s an effort that paid off. 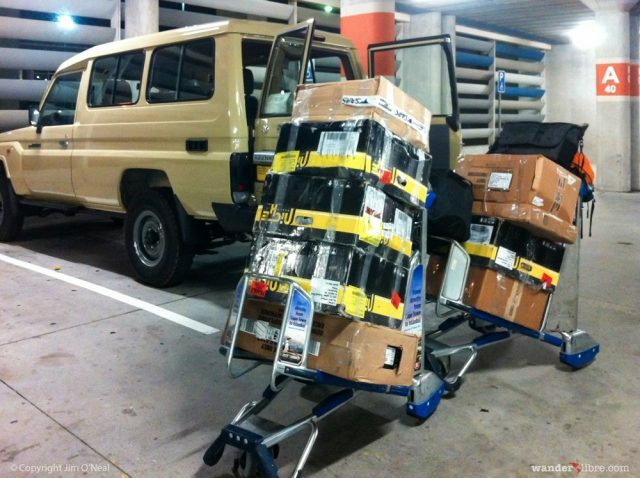 Somehow we managed to stuff everything from a Warn winch to six steel truck wheels into our checked bags. Collectively, our gear managed to reach the absolute limit of both baggage weight and size limits. It was cause for both celebration and heartburn as we scratched our heads trying to figure out how we’d get it all to and from the airport. 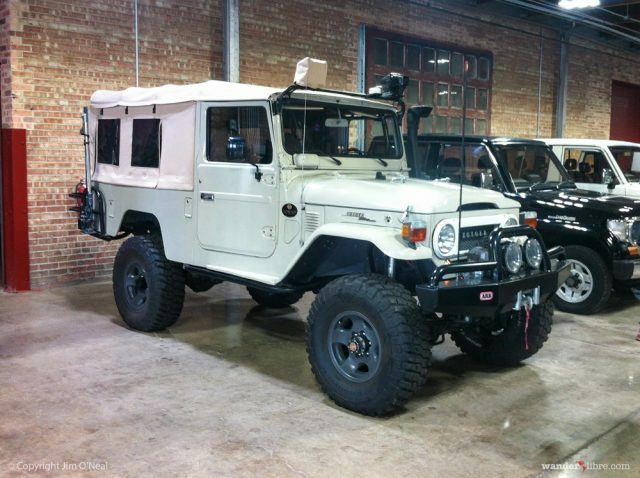 A 40 Series Land Cruiser, Land Cruiser Heritage Museum, Salt Lake City, Utah. When not working on equipment lists, we worked to transform our initial guidelines into to-scale build specs. 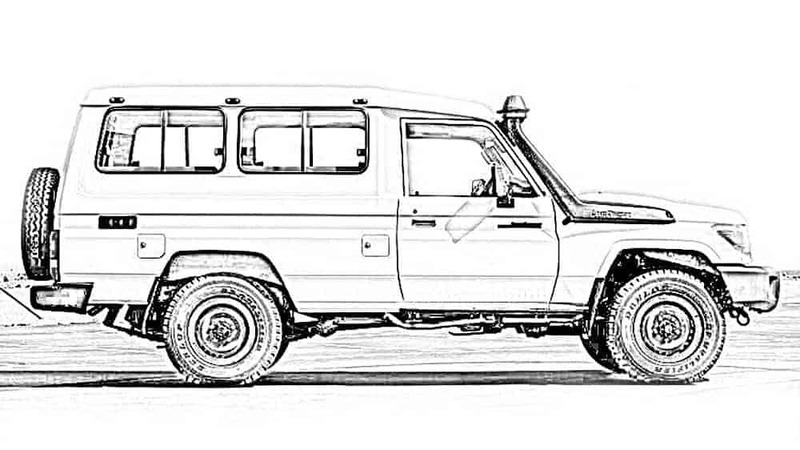 This proved a challenge as we struggled to find a reliable set of interior measurements for 78 Series Land Cruisers. To solve the problem, we drove to Salt Lake City, Utah, to attend Cruiser Fest and have a close look at the Expeditions Seven Troop Carriers. It was a productive trip, providing us our first opportunity to take measurements and receive some pointers from the E7 team on the vehicles and equipment they used to cross seven continents. Taking Measurements, E7 Troopy, Land Cruiser Heritage Museum, Salt Lake City, Utah. In late September, it was off to South Africa to kick-off build work. As expected, getting all that gear to the airport was a challenge that involved an 8-hour drive in an overpacked minivan and some serious juggling at the airport. When we landed in Cape Town, it was the middle of the night. At the airport, we were met by Johan from R&D Offroad. Johan was our welcoming committee and the bearer of keys to our new Troopy, freshly delivered from Toyota. When we awoke next morning, I recall looking out the window at Maggie, parked beside our room. Our first chance to bond, it’s a memory spiked with nostalgia. We were finally back in Africa, just where we wanted to be, and that morning was the opening act in realizing a decade-long dream. Over the next few days, we took the opportunity to relax, enjoy Cape Town, and bond with Maggie. We took long lunches in wine country, drove down the coast, and had brunch with South African friends. We also took the opportunity to document Maggie in stock state. It’s our reminder of how she looked before her extreme makeover. Posing for photos below Table Mountain, Maggie was a blank canvas ready for transformation.